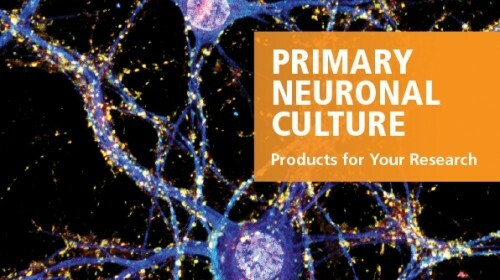 NeuroFluor™ NeuO is a membrane-permeable fluorescent probe that selectively labels primary and pluripotent stem cell-derived neurons in live cultures (J C Er et al. Angew Chem Int Ed, 2015). 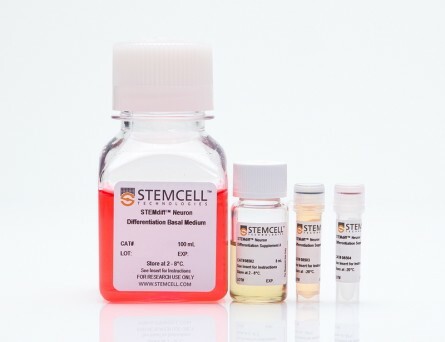 Cells labeled with NeuroFluor™ NeuO can be visualized using fluorescent imaging. 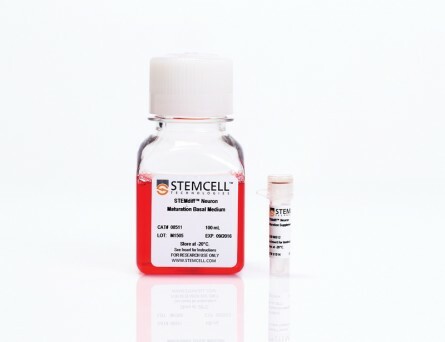 Labeling with this probe is non-permanent; it can be washed off, providing unlabeled, viable cells for downstream applications. For additional information, see References. (A) Primary rat E18 cortical neurons were labeled with 0.25μM NeuroFluor™ NeuO (green) and incubated for 1 hour. Image was taken after 2 hours of incubation. (B) The same culture was later fixed and stained for β-tubulin III (red). 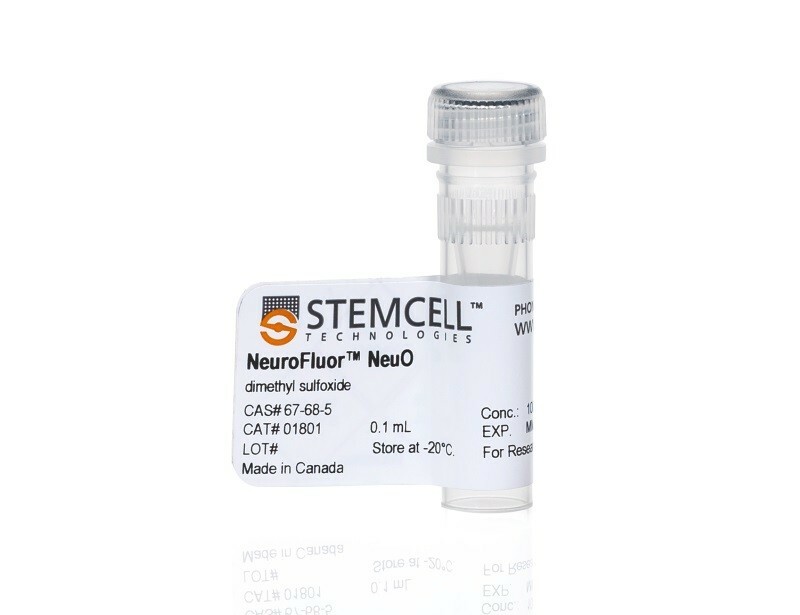 The image shows that NeuroFluor™ NeuO specifically labels β-tubulin III-positive neurons. Nuclei are counterstained with DAPI. Images were taken at 20X magnification. 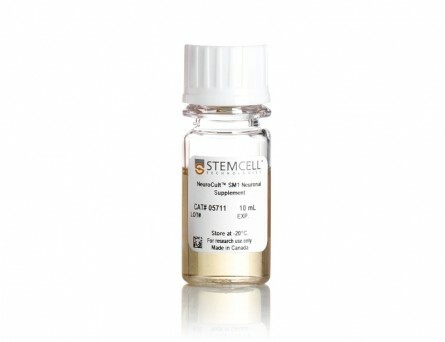 (A) The neuronal precursors generated from hPSC-derived (XCL-1) neural progenitor cells were cultured in STEMdiff™ Neuron Maturation Medium. 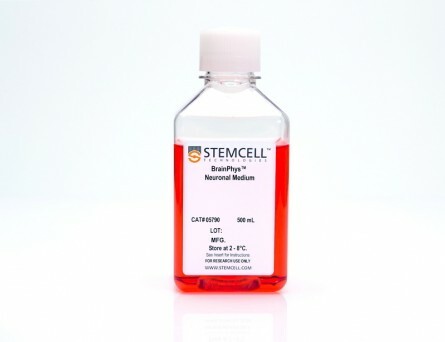 After 18 days of culture, hPSC-derived neurons were labeled with NeuroFluor™ NeuO (green). Nuclei are counterstained with DAPI. (B) The same culture was later fixed and stained with β-tubulin III (red). The image shows that NeuroFluor™ NeuO specifically labels β-tubulin III-positive neurons. Images were taken at 20X magnification. 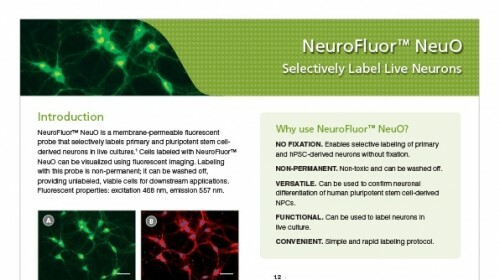 To address existing limitations in live neuron imaging, we have developed NeuO, a novel cell-permeable fluorescent probe with an unprecedented ability to label and image live neurons selectively over other cells in the brain. 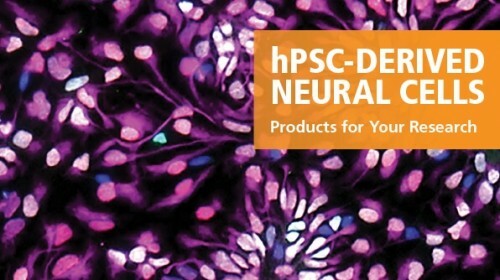 NeuO enables robust live neuron imaging and isolation in vivo and in vitro across species; its versatility and ease of use sets the basis for its development in a myriad of neuronal targeting applications.